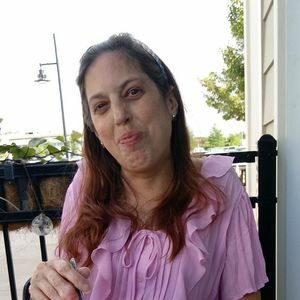 Kellie (Remick) Dacosta Poirier, 49, of Plymouth passed to life in Heaven on March 27, 2019. She was born on January 8, 1970 in Beverly, MA to Bob and Brenda (Dobson) Remick of Duxbury. Her life was a physical battle, but she radiated Jesus Love each day. Kellie's greatest joy was her son Jonathan. Physically she had no hope of pregnancy, BUT GOD gave her the strength to get through those nine months and delivered Jonathan is 1997. She and her now deceased husband Steven Dacosta truly thanked God for this miracle baby. Jonathan is now a 21 year old man residing in California. A couple of years after Steve's death, Kellie fell in love with an amazing man, Adam Poirier, of Marshfield. They married twelve years ago and it has been an amazing journey. Adam's commitment has been an example of what a Christian husband should be. He faithfully serves The Lord and took care of Kellie's every need. Kellie did many things throughout her forty-nine years. Faith and family were always first. Kellie worked at Rockland Trust for many years. Kellie studied the Bible throughout her life. Preacher's Kids do that! She served at both Victory Baptist church and First Baptist Duxbury. Kellie did anything that was needed to make church a warm, welcoming family. Youth Ministry was her greatest passion. Kellie leaves her precious son, Jonathan Dacosta of California. Kellie leaves her loving husband Adam Poirier of Plymouth. She also leaves her parents, Bob and Brenda Remick, of Duxbury. Her brother Christopher Remick of Belmont, her sister Kim (Remick) Chandler, and her husband Keith Chandler, of Plymouth. Her nephews and nieces brought Kellie incredible joy. Neil and James Chandler treasured "T," Caleb and Victoria Remick admired and adored her. Adam's sister Noel added two sweeties, Paul and Morgan, to complete her happiness. A Celebration of Kellie's Life will be held Sat., March 30, 10;00 AM at First Baptist Church of Duxbury, 2 Tremont St., Duxbury. Flowers are Welcome at the church to be delivered at 9:00 Sat. 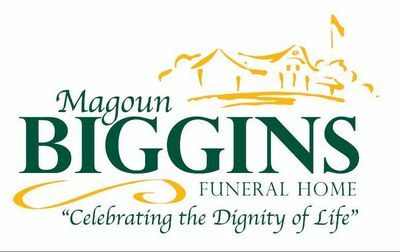 Add your thoughts, prayers or a condolence to Kellie's guestbook.